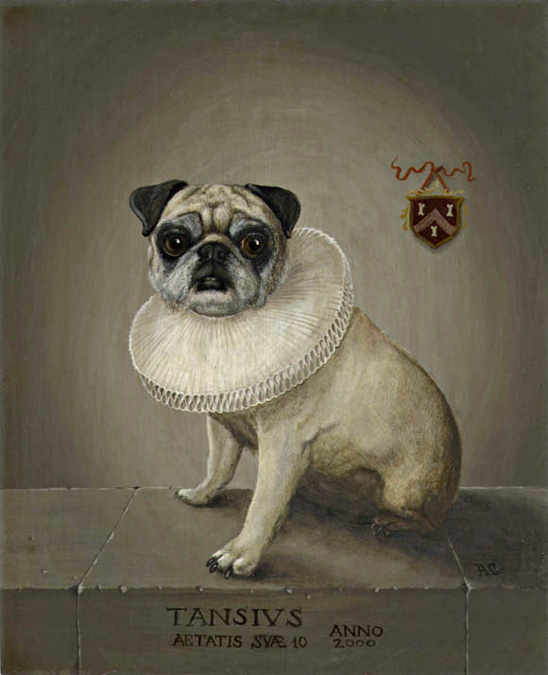 A pet portrait done in the style of 17th century Dutch society portraits, complete with heraldic device. Acrylic on Masonite, 8" x 10". © 2019 Adrian Card. Site by earsense.